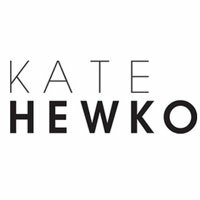 Kate Hewko is an online retailer of designer fashion jewelry. We continually source new emerging designers from around the globe to provide the best selection of fashion jewelry online and at our Pop Up Shops. We offer free shipping to the USA and Canada, and a $10 flat rate for the rest of the globe. Our selection of lines include Vanessa Mooney, LionetteNY, Karen London, Cleobella, Filili by Luiny, Sara Designs, Hadria by Adrianna Beer, and our own private label Kate Hewko.